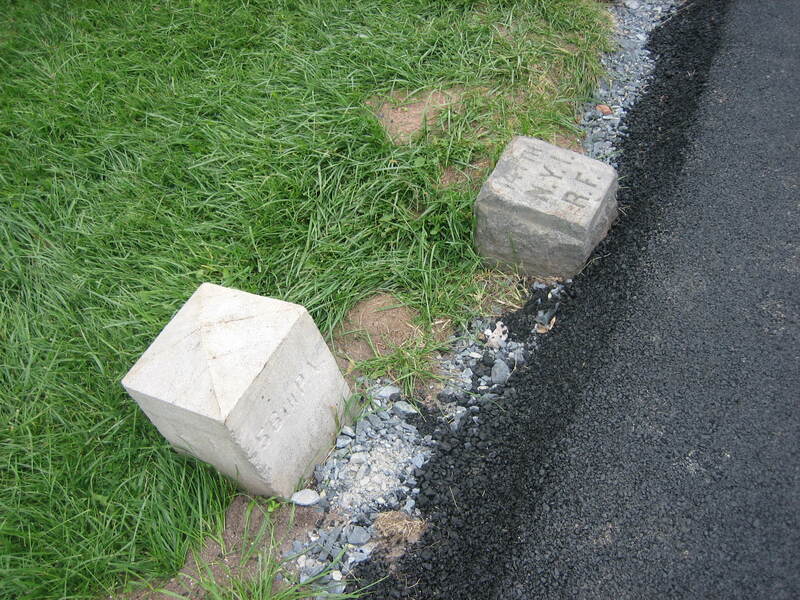 The recent resurfacing of the avenues at Gettysburg National Military Park has brought asphalt touching markers, and now dirt and gravel covering much of the flank markers to the 147th New York on the right, and the 56th Pennsylvania on the left. This view was taken from the west facing east at approximately 5:30 PM on Thursday, October 9, 2008. We really can’t believe this. 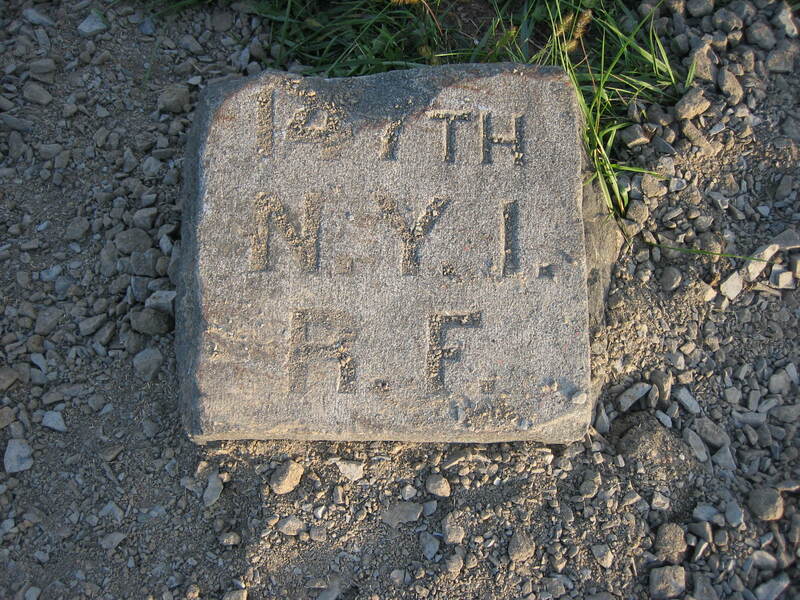 Dirt and gravel now almost completely cover the right flank marker of the 147th New York Infantry Regiment, and most of the left flank marker of the 56th Pennsylvania Infantry Regiment. 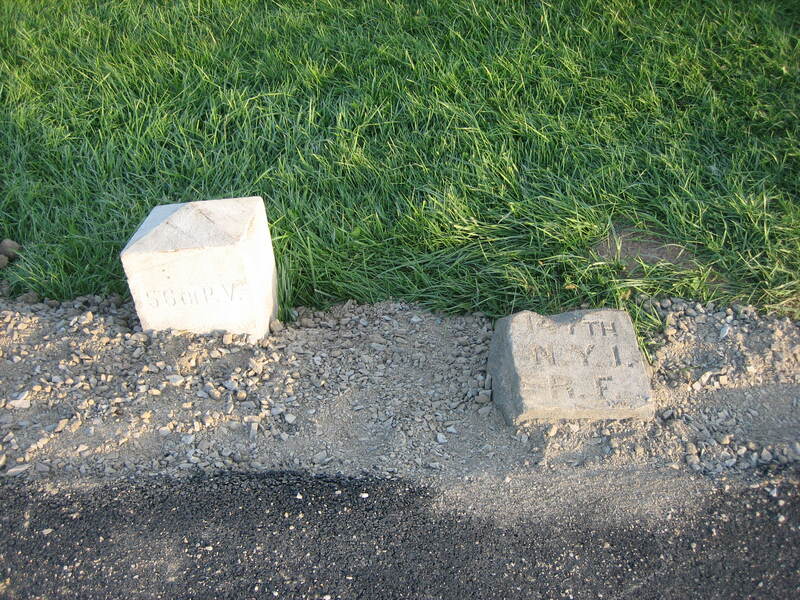 Now at least one car has driven over the 147th New York marker, and we have pictures of the tire tracks to prove it. 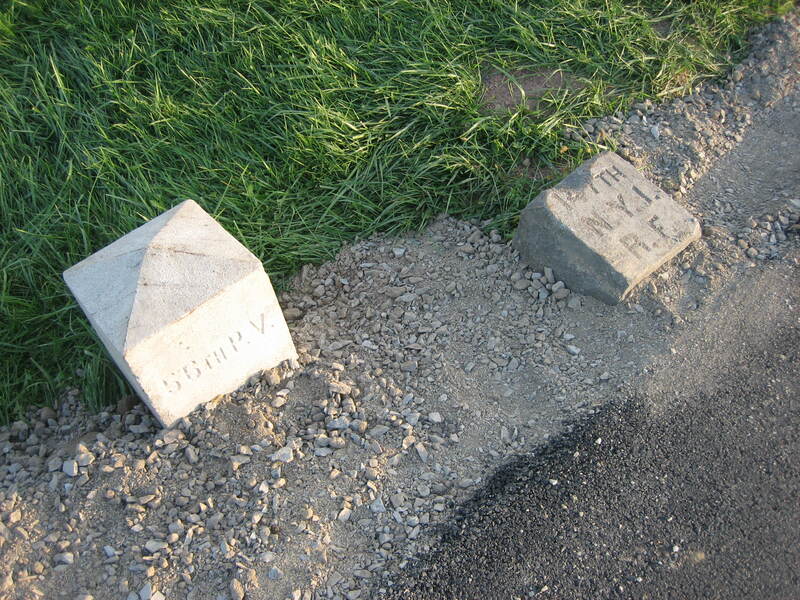 It’s not like the National Park Service hasn’t been told about this problem with their contractors, and the person who put out the bids for this contract. 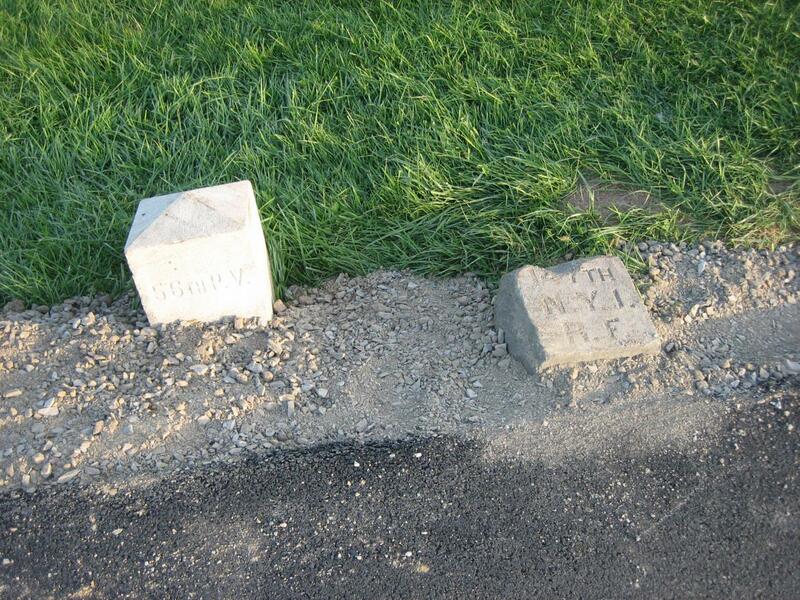 We can’t see how the National Park Service at Gettysburg can get away with this one. It’s one thing to say that the problems at the Visitor Center aren’t your fault because it’s the Foundation’s building, and operated by the Foundation. But they have known about this problem for over a week. We have even talked to them about it. And what happens today? How can they argue that they’re protecting the resource, and at the same time allow this to happen? 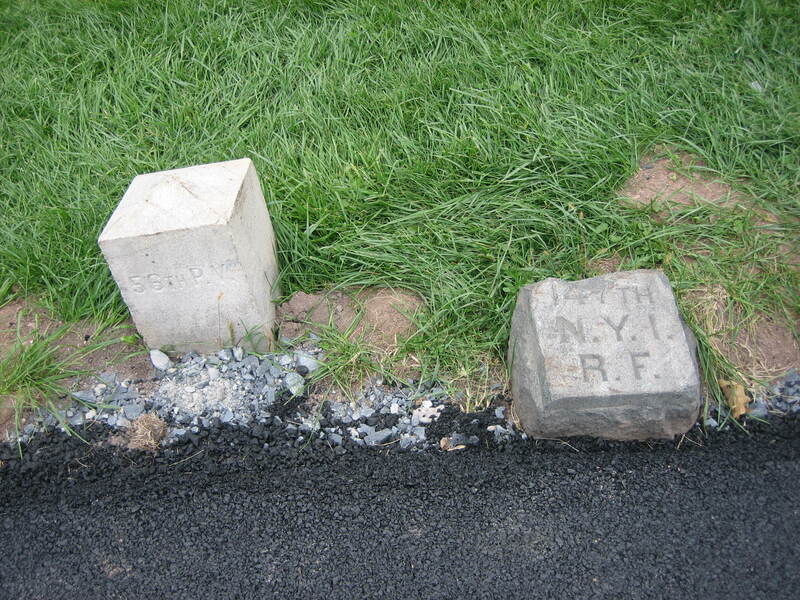 Here’s the picture we took yesterday of this site, the ninth day that asphalt was touching the right flank marker to the 147th New York. This view was taken from the west facing east at approximately 5:30 PM on Thursday, October 9, 2008. Here’s another view from yesterday. This view was taken from the northwest facing southeast at approximately 5:00 PM on Wednesday, October 8, 2008. And here’s one from this evening. This view was taken from the northwest facing southeast at approximately 5:30 PM on Thursday, October 9, 2008. 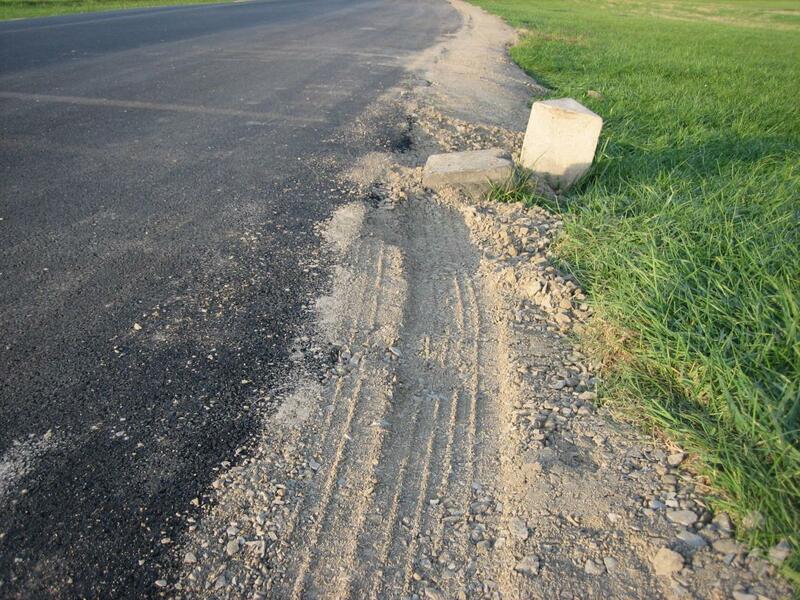 The tire tracks show that at least one vehicle has now driven over the flank marker to the 147th New York. This view was taken from the south facing north at approximately 5:30 PM on Thursday, October 9, 2008. 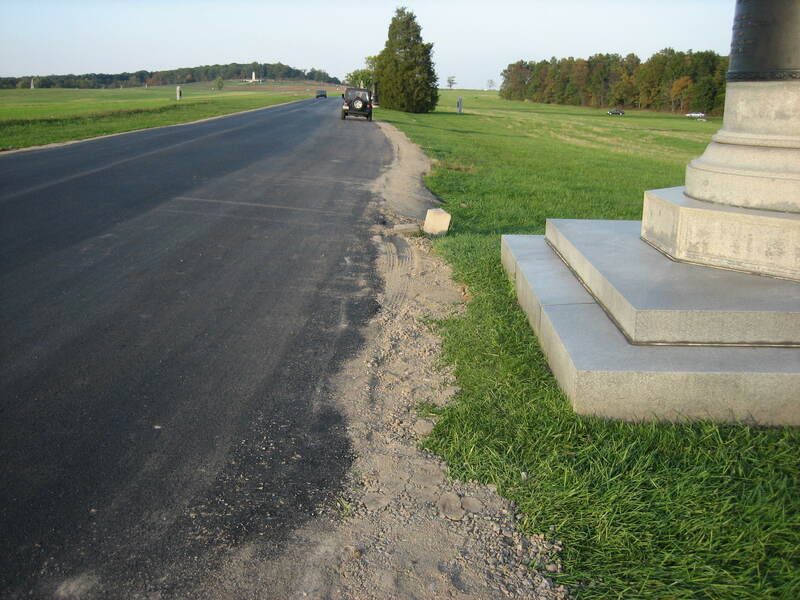 Here’s a view from yesterday with the markers near the statue to Brigadier-General James S. Wadsworth. This view was taken from the northwest facing southeast at approximately 5:00 PM on Wednesday, October 8, 2008. And here’s today’s view. This view was taken from the northwest facing southeast at approximately 5:30 PM on Thursday, October 9, 2008. 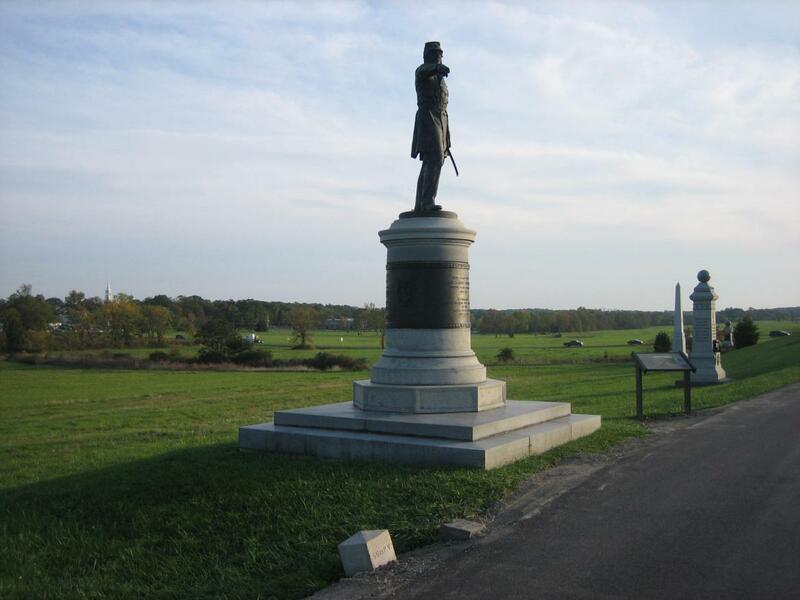 The 147th New York brought 380 men to Gettysburg. 60 of them were killed. 144 were wounded, and 92 were missing or captured. This loss of 296 men represents a casualty rate of 77.9%. This view was taken from the west facing east at approximately 5:30 PM on Thursday, October 9, 2008. 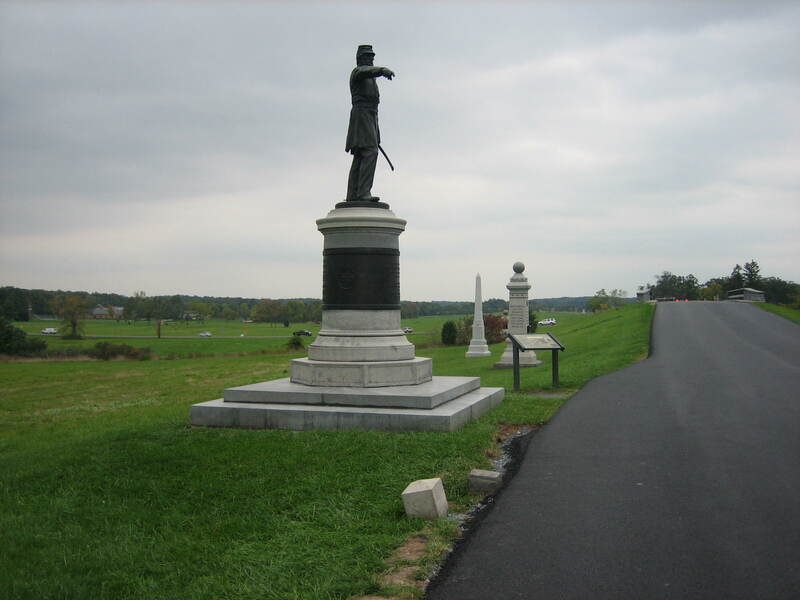 The 56th Pennsylvania brought 252 men to Gettysburg. 14 were killed. 61 were wounded. 55 were missing or captured. This loss of 130 men represents a casualty rate of 51.6%. This view was taken from the northwest facing southeast at approximately 5:30 PM on Thursday, October 9, 2008. 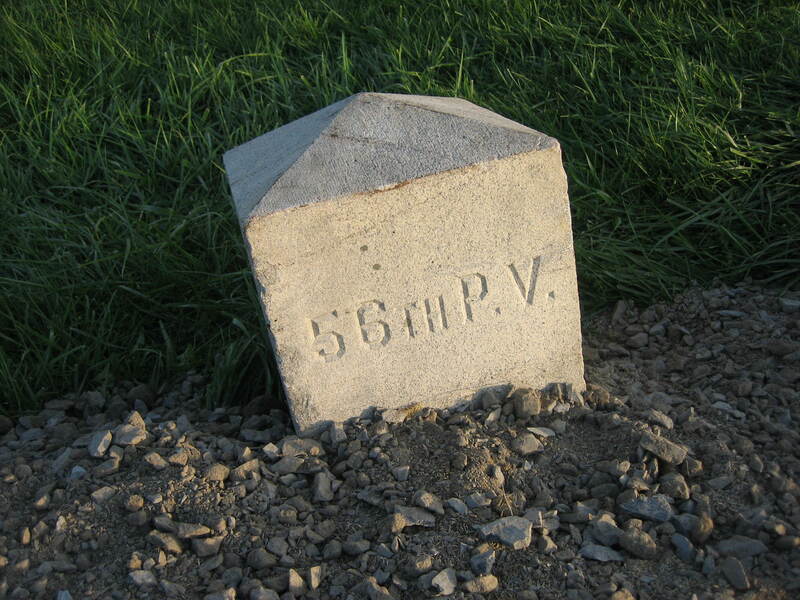 Where are the individuals whose job it is to protect these markers that the survivors erected? This view was taken from the northeast facing southwest at approximately 5:30 PM on Thursday, October 9, 2008. We have become almost speechless. This view was taken from the north facing south at approximately 5:30 PM on Thursday, October 9, 2008. 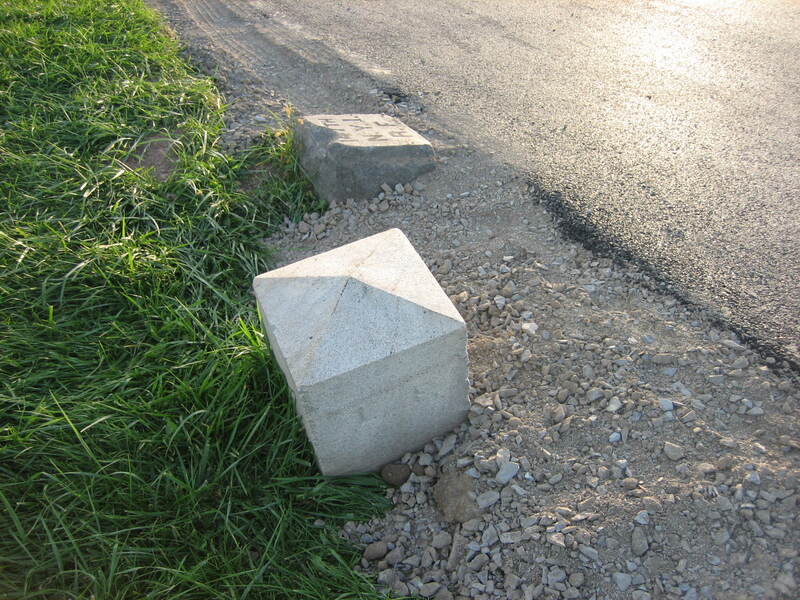 This is another “quality” example of the work of extending the dirt and gravel anywhere from a foot to two feet off the shoulders. This view was taken from the south facing north at approximately 5:30 PM on Thursday, October 9, 2008. 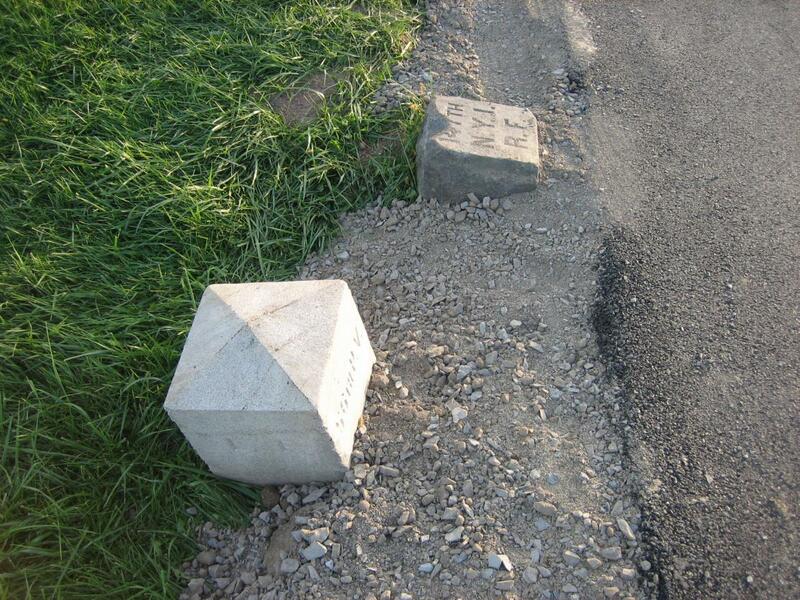 Together, these two units brought 732 men to Gettysburg. 74 were killed. 205 were wounded. 147 were missing or captured. These 426 casualties represent a loss of 58.2%. Here’s how their memories are honored. This view was taken from the west facing east at approximately 5:30 PM on Thursday, October 9, 2008.